How to Remove Rust Stains from Tiles? Tiles have always been the most favourable flooring material for the various room of your house. Not only this, flooring materials available in numerous colours and patterns. On top of that, they are also water resistant, and stains can be easily removed from them. Sometimes, rust stain is one of the major problems that you might face in the kitchen or bath areas. These stains are the result of metal coming in contact with water on the tile or other surfaces and eventually depositing iron particles on the tile. Here we have discussed removing rust stains from tiles that will save the unneeded expense of replacing the tiles. It is important to clean the rust stains in a right way to protect the tile otherwise you might end up damaging your tiles. 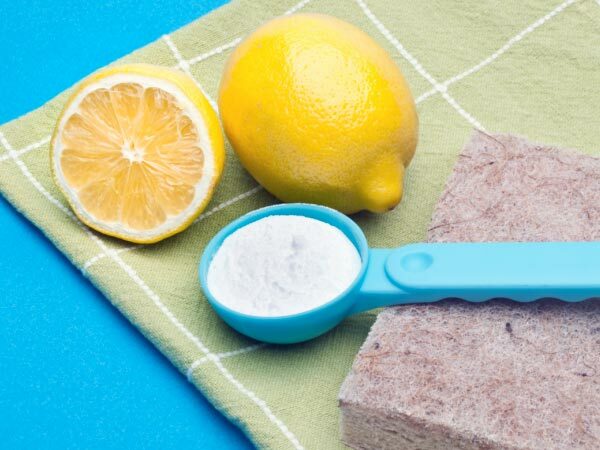 Remove rust stains from tiles by applying a paste of equal parts of lemon juice and borax on the affected area and letting it dry before rinsing it off. Sprinkle baking soda on the affected areas and rub it with a rag soaked in vinegar. It may also remove rust stains. 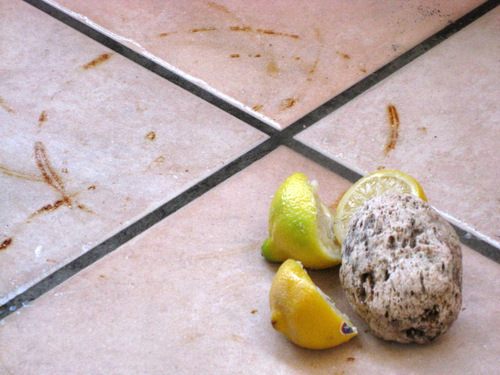 Another solution to remove rust stains from tiles is applying lemon juice on the stain for about five minutes, and then scrubbing it off with an old toothbrush. To make this procedure more effective, sprinkle some salt on the lemon juice and then rub. Also Read: 6 Tips to Remove Water Stain from Your Wooden Furniture! Smear a little paste of toothpaste directly over the rust stain and using a brush, rub it up in a circular motion. When done, wash the tiles with a little water and soap. Kerosene is one of the best remedies to remove rust stains from tiles. It is more powerful as it removes the stains from the tile floor. These all rust removing solution is more effective for tiles like ceramic tiles, porcelain tiles, mosaic tiles, etc. If these rust stains are difficult to remove, you have no option but to replace it with new tiles. You may not find similar tiles in the market. Hence always keep in store few tiles for such repairs while buying or constructing a House. Previous PostPrevious What is a Structural Design and Why it is Required? Next PostNext How to Calculate Water-Cement Ratio in Design of Concrete Mix?